Halloween is comming soon,so there is a new release in black tones for a dark but very elegant look ! 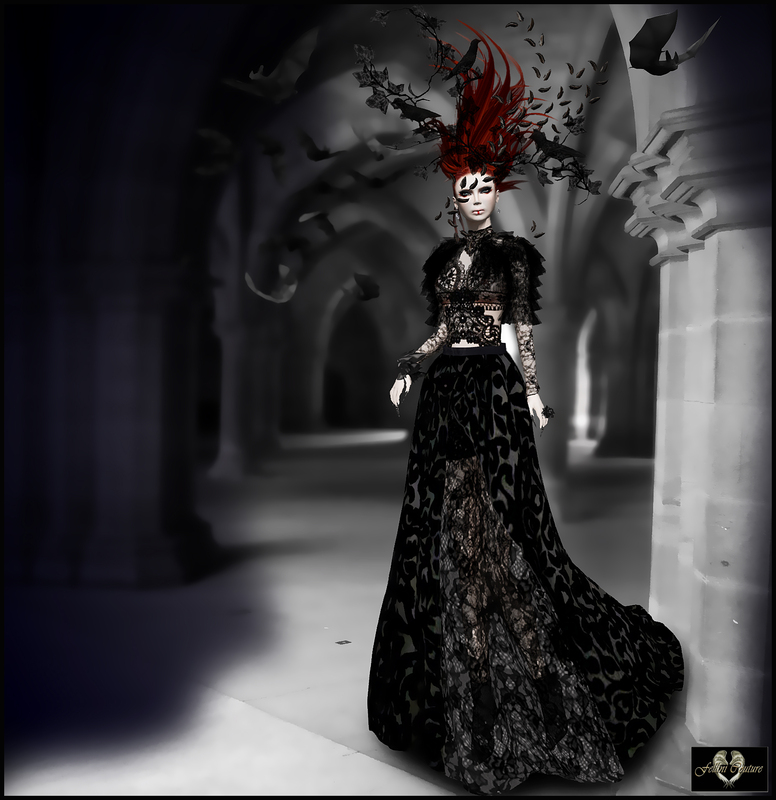 Dark Queen is a mesh gown in 4 differents sizes all in lace and brocard. The skirt will let your legs appear because of a transparent part of lace. The top is finely worked and accessorized with a beautiful bolero. Head part is made of branch and leaf flying around the face.